The new, orange coloured data loggers that are used within the LifeWatch program to gain more insight into the migratory routes of the European eels Anguilla Anguilla are easily found by beachcombers and tourists. By putting all captured temperature and depth data together, we will learn more about the behavior of this critically endangered species during its migration through the English Channel. 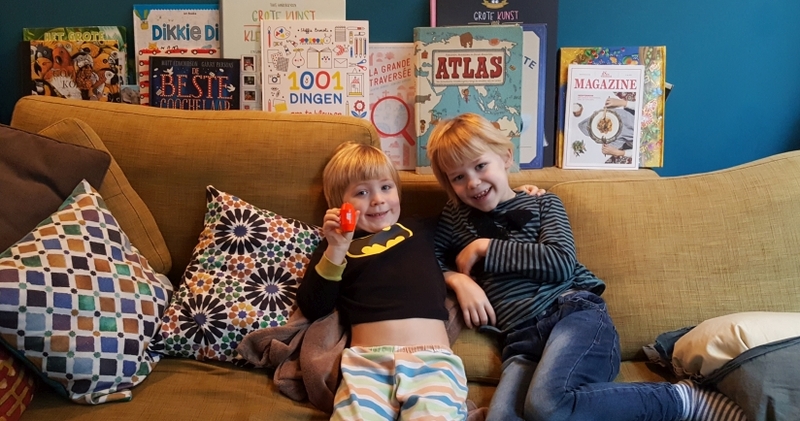 While taking a breath of fresh air at the seaside over Christmas holidays, two boys from Drongen near Ghent (Belgium) found a treasure worth 50 euros. 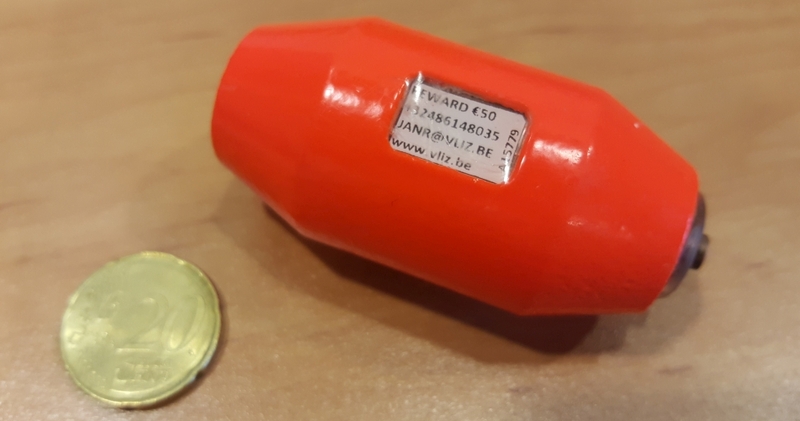 "At first we thought that our youngest found an old battery, but then our eye fell on the label with mentioning 'reward: 50 euro' ", says Mama Ruth. A VLIZ employee came to pick up the logger and gave more information about the how, what and why: that Ghent University and the Flanders Marine Institute VLIZ want to gain more insight into the migratory routes of eels with the help of these new instruments. The two studious boys immediately took a tablet to find more information about eel and to view the animation film about the research program. "We did not know at all that eels are critically endangered. We are pleased that we have been able to contribute to more scientific knowledge about the species", adds Ruth. The new, orange coloured data loggers are attached to the eels body by means of a piercing. They record data about the temperature and depth of the water in which migrating eels (caught in the IJzermonding) swim towards their spawning grounds. "Because each sea or ocean has a specific temperature and depth, the loggers can tell us a lot about the behavior of these animals during their migration", says Pieterjan Verhelst of Ghent University, who is leading the research. The dataloggers are programmed to release after a certain time. Some of them wash ashore. "Previous studies with loggers of this type show that 25 to 40% are recovered by beachcombers and tourists", says Jan Reubens of the Flanders Marine Institute VLIZ, who supports this study logistically within the LifeWatch programme. "Up to now we have already received some 15 of the first 102 stations that have been placed: from the United Kingdom, the Netherlands, France and Belgium. And this exceeds our wildest expectations!" The data stored on the transmitters will be read and analyzed. Although the two boys in retrospect would have preferred a gold bar as a reward for "their treasure found", this whole story will be the subject of a fascinating lecture at school. Do you find yourself an orange bobber like data logger? Then contact VLIZ (janr@vliz.be or +32 486 14 80 35). Finders receive a reward when returning them. It can be a sweater from the Science & Sea collection from the VLIZ shop or 50 euros. The choice is yours!